Our office has been voted “Best Dentistry” by the Readers Choice Awards, and recently recognized by The Consumers’ Research Council of America as one of the Top Dentists in America. We’ve successfully treated many patients from Wakefield, MA and surrounding areas with the finest care that the cosmetic dentistry industry offers. Our highly skilled staff specializes in routine fillings, crowns, bridges, veneers, Cerec dental implant restorations and cosmetic whitening using the latest technology with a gentle and professional demeanor. We now offer Cerec restorations! State of the art computerized dentistry with digital impressions. No messy impressions or weeks in a temporary. It’s the latest technology to come to the dental field. We also have on site specialists who are available for your endodontic (root canal) and periodontic (gum treatments) needs. Our experienced staff of dental hygienists is here for your educational and preventive needs. The most current products and procedures specifically suited to your individual needs. Dental implants that provide natural-looking, permanent tooth replacement. 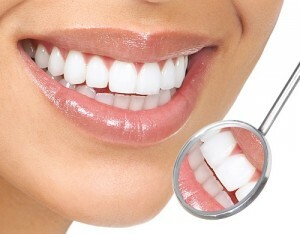 Cosmetic fillings that blend naturally with the color shade of your existing teeth. Crowns or caps that strengthen and restore teeth and improve your smile. Veneers: custom-molded tooth coverings matched carefully to natural color. Care Credit: low monthly payments to pay for treatments not covered by insurance. For those in Wakefield, MA and surrounding areas, please feel free to contact our office with any questions regarding cosmetic dental work by calling us at (781) 665-2113. Our staff looks forward to seeing you!